Eclectic Institute was founded by two naturopathic physicians in 1982 from within the clinic dispensary of the country's oldest naturopathic school; The National College of Naturopathic Medicine (now called the National University of Natural Medicine). With it's roots in naturopathic medicine, Eclectic is committed to supporting the profession and donates use of our herb farm for the annual Revitiaization Retreat. In 2012, a group of students from the National University of Natural Medicine wanted to explore modalities and approaches from traditional Nature Cure. Nature cure was a movement in 19th century Europe that included hydrotherapy, dietary changes, and herbal medicine to restore the healing processes of the body. Nature cure was brought to America and eventually was refined and transformed into the basis for naturopathic medicine. The students wanted to experience hands-on and experiential learning and dreamed up The ReVitalization Retreat, a weekend sanctuary for naturopathic students and doctors. During the retreat, naturopathic Elders share their knowledge of hands on traditional treatments such as hydrotherapy, mudbaths, clay packs and wet wraps. The retreat is held every September on our very secluded rural location. It is bordered by the Sandy river and surrounded by native forests, and has rows of organic herbs growing. 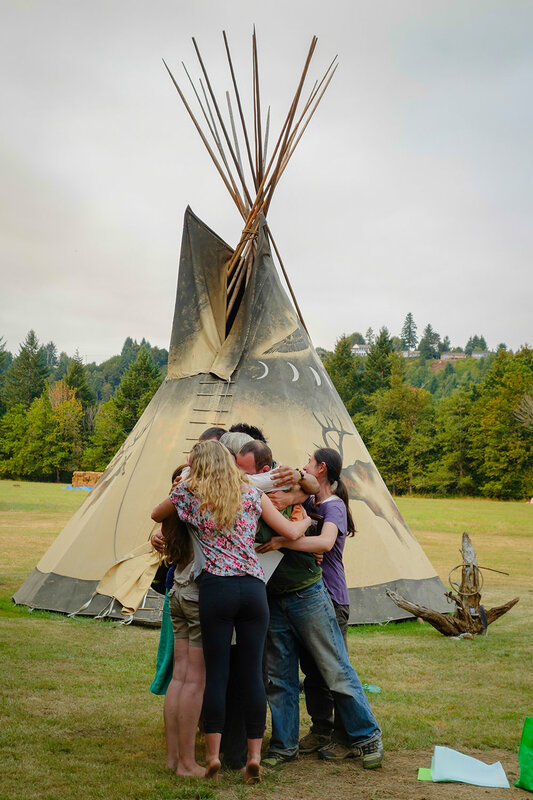 For a deeper connection with the Earth, attendees sleep in tents and tipis with wood-fired hot tubs for bathing and relaxing. Vegetarian cuisine is served, and the days are started with yoga and morning dew walks. The Revitalization Retreat is all about relaxing, rejuvenating and revitalizing, while rediscovering traditional healing skills from the past.